1. Crude oil production during December 2016 was 3055.07 TMT which is 3.15% and 0.80% lower than target and production achieved in December 2015 respectively. Cumulative crude oil production during April-December, 2016 was 27045.34 TMT which is 1.92% and 3.23% lower than target and production during corresponding period of last year respectively. 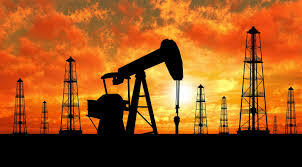 Unit-wise and state-wise crude oil production is given at Annexure-I. Unit-wise crude oil production for the month of December, 2016 and cumulatively for the period April-December, 2016 vis-à-vis same period of last year has been shown in Table-1 and month-wise in Figure-1. 1.1 Crude oil production by ONGC during December, 2016 was 1904.60 TMT which is 1.37% lower than the monthly target but 0.47% higher when compared with December 2015. Cumulative crude oil production by ONGC during April-December, 2016 was 16629.09 TMT which is 1.44% lower than target for the period and 1.48% lower than production during corresponding period of last year. Shortfall in production was mainly due to less than planned production from marginal fields of Mumbai High and natural decline in matured fields of western offshore. 1.2 Crude oil production by OIL during December, 2016 was 280.59 TMT which is 10.18% lower than monthly target but 3.87% higher than production in December 2015. Cumulative crude oil production by OIL during April-December, 2016 was 2430.46 TMT which is 3.29% lower than target for the period and 0.82% lower than production during corresponding period of last year. Shortfall in production was mainly due to less than planned contribution from high producing areas like Greater Hapjan, Greater Chandmari fields & Naharkatiya fields on account of rise in water cut and less than envisaged contribution from newly drilled wells. 2 Natural gas production during December 2016 was 2736.80 MMSCM which is 9.68% lower than the target for the month and 0.01% lower than the production in December 2015. Cumulative natural gas production during April-December, 2016 was 23885.34 MMSCM which is 5.04% lower than target for the period and 3.29% lower than the production during corresponding period of last year. Unit-wise and state-wise natural gas production is given at Annexure-II. Unit-wise natural gas production for the month of December, 2016 and cumulatively for the period April-December, 2016 vis-à-vis same period of last year has been shown in Table-2 and month-wise in Figure-2. 2.1 Natural gas production by ONGC during December, 2016 was 1926.75 MMSCM which is 5.58% lower than the monthly target but 5.92% higher when compared with December 2015. Cumulative natural gas production by ONGC during April-December, 2016 was 16420.24 MMSCM which is 1.82% lower than the cumulative target but 0.91% higher than the production during the corresponding period of last year. Shortfall in production was mainly due to decline in reservoir pressure in Bassein field and less production from Daman & C-26 Cluster due to evacuation constraint as export lines to TCPP platform is not yet completed. 2.2 Natural gas production by OIL during December, 2016 was 246.50 MMSCM which is 0.14% lower than the monthly target and 7.37% lower than December 2015. Cumulative natural gas production by OIL during April-December, 2016 was 2211.56 MMSCM which is 2.17% lower than the cumulative target but 4.32% higher than the production during the corresponding period of last year. Shortfall in production was mainly due to decline production potential in a few high producing gas wells due to unexpected subsurface problems like water and sand ingress. Ø Underperformance of wells in KG- OSN-2001/3. Ø Underperformance of Sohagpur West CBM block extended dewatering hampering production in Raniganj East CBM block. Ø Closure of 2 wells in D1D3 field in KG-DWN-98/3. Ø RJ-ON-90/1: Plant tripped on 16.12.16, stopping production from Mangala & Aishwarya. Increase in water cut in Mangala wells, poor reservoir performance of Bhagyam. Ø RJ-ON/6: Increase in Water cut in few wells. 3 Refinery production during December, 2016 was 21441.47 TMT which is 3.21% higher than the target for the month and 6.43% higher than the production during corresponding period of last year. Cumulative production during April-December, 2016 was 183886.03 TMT which is 2.16% higher than the target for the period and 7.82% higher than the production during corresponding period of last year. Unit-wise production is given at Annexure-III. Company-wise production for the month of December, 2016 and cumulatively for the period April-December, 2016 vis-à-vis same period of last year has been shown in Table-3 and month-wise in Figure-3. v IOCL, Paradip: Throughput lower due to coke upliftment issue. v IOCL, Guwahati/Digboi: Lower availability of Assam crude. v CPCL, Manali: Throughput of Manali Refinery lower than target due to 'Vardha' cyclone which hit the refinery on 12th Dec'16 and lead to water crises as all water sources were temporally shutdown. v CPCL, CBR: Lower throughput in CBR due to product evacuation constraints. v NRL, Numaligarh: Unplanned shutdown of DCU. 3.2 Production in JV refineries during December, 2016 was 1570.99 TMT which is 18.92% higher than the target for the month and 9.36% higher than the production achieved in the corresponding month of last year. Cumulative production by JVs refineries during April-December, 2016 was 12696.91 TMT which is 10.54% higher than the target for the period but 1.72% lower than the production during corresponding period of last year. 3.3 Production in private refineries during December, 2016 was 7772.04 TMT which is 0.24% lower than the target for the month and 1.13% lower than the production achieved in the corresponding month of last year. Cumulative production by private refineries during April-December, 2016 was 68432.36 TMT which is 2.04% higher than the target for the period and 4.21% higher than the production during corresponding period of last year. 3.4 Refinery-wise details of the capacity utilization and production of petroleum products during the month of December, 2016 and cumulatively for the period April-December, 2016 vis-à-vis April-December, 2015 are given at Annexures-IV and V respectively.